The Karakal BX 130 Gel squash racket is ideal for players who already have a good technical level. With its small playing area, it combines precision, technique, power and nervousness. 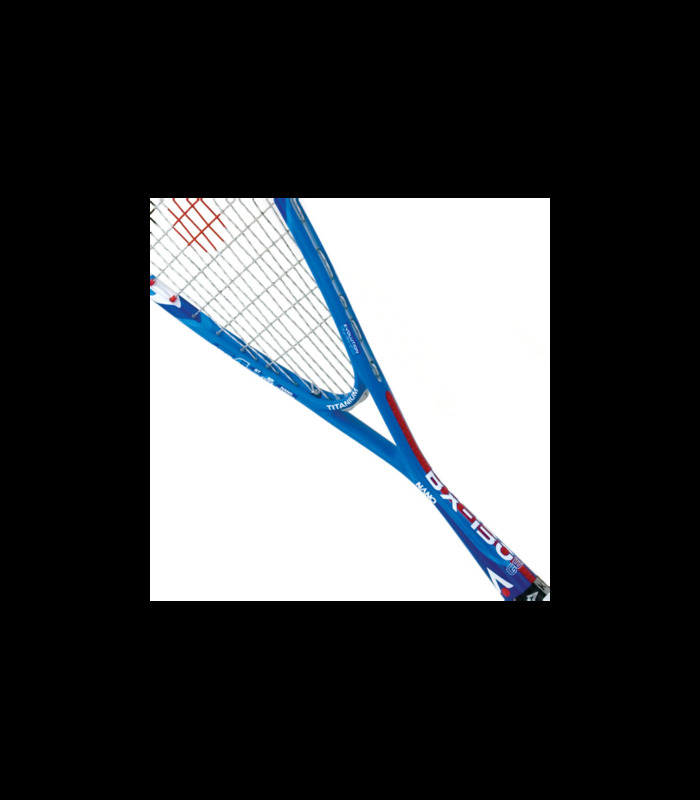 This squash racket allows a dynamic game, while offering the player a good comfort and good handling. 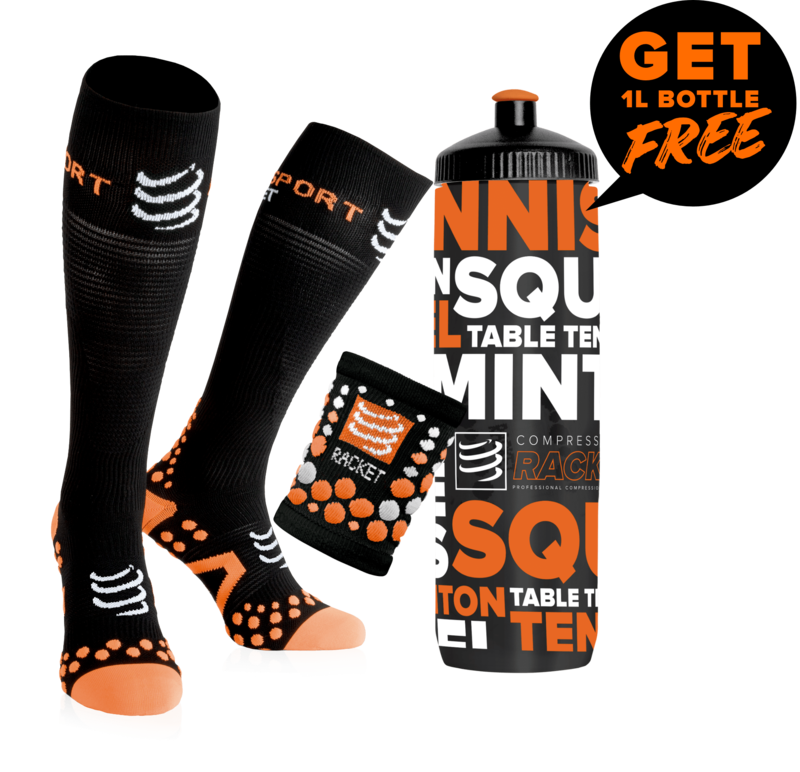 You are an intermediate or a competition player who practice squash regularly? You then need an accurate squash racket which allows you to combine explosiveness and dynamism. The Karakal BX 130 Gel squash racket is perfect for you. With a 68.6cm length, this squash racket offers comfort, power and precision. 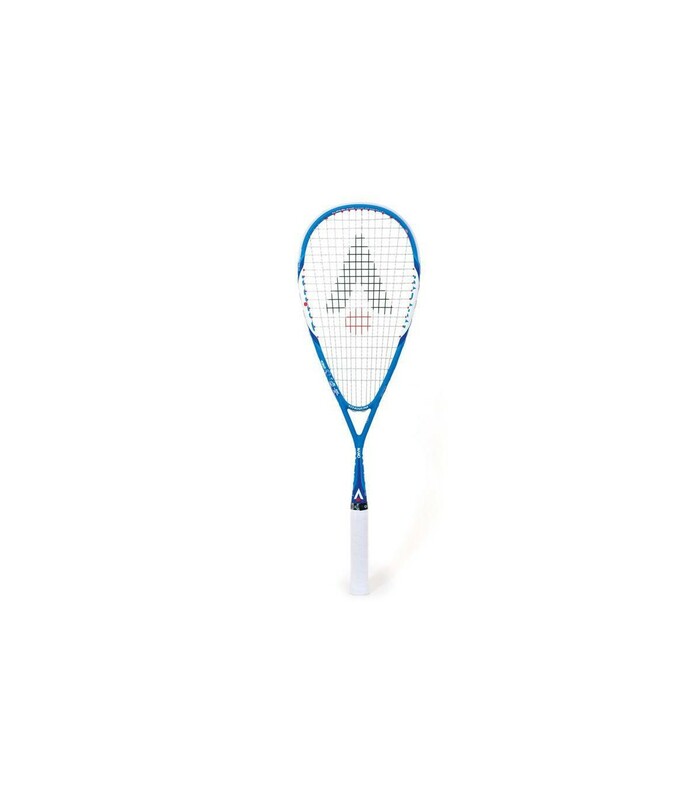 Besides its pleasing aesthetics, with its blue and white frame, the squash racket Karakal BX 130 Gel provides you nice gaming sensations: speed, accuracy and responsiveness. The headsize of the Karakal BX 130 Gel squash racket is 470 sq cm which corresponds to a small playing zone, which makes the game more accurate, faster, more responsive. This squash racket is perfect to challenge the game. Tolerance is reduced, so, the ball must be well positioned on the playing surface, hence the need to already have a good technique to play with this squash racket. This Karakal BX 130 Gel squash racket is ideal for players who have a good technical: it allows a dynamic and nervous game, and an increased accuracy. The Karakal BX 130 Gel squash racket is light, it weighs only 130g, allowing you a good handling for a faster and more powerful swing. With a 36.5cm balance (head heavy), your strikes will be even more powerful. The string pattern of the Karakal BX 130 Gel squash racket is 16 x 19 (16 strings in height and 19 in width), which is ideal if you want power. If your arm hurts you, the string pattern of this squash racket is perfect for you. 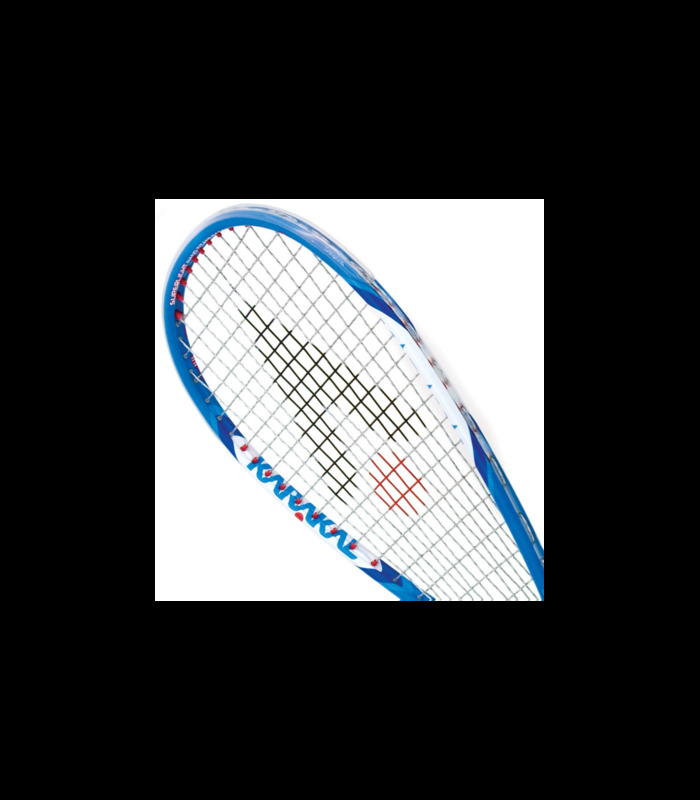 The Karakal BX 130 Gel squash racket is a racket that is not very tolerant, but very accurate, responsive and reactive. It is also light, comfortable and powerful.